Which games will help us to build the city of the future? During her doctoral research, Ekim realised that city games can inform urban development by turning the various stakeholders into players which actively influence their urban environment. A decade later, she runs the Amsterdam based city gaming company ‘Play the City', Ekim has detailed her unique city gaming experiences worldwide and is looking ahead to the future. How have city games thus far contributed to our urban environments, and how will they continue to do so? During this book launch, we will discuss lessons learned and ideas for the future of urban gaming. After a Q&A session with Ekim Tan, three guest speakers (a Play the City developer, user and client) will share their reflections on urban gaming with the audience.  The developer: Cristina Ampatzidou has been working with the Play the City team during the initial phase, helping to invent the Play the City method. 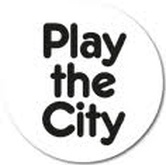 She is now finalising her PhD research in city-gaming on ‘Playing with Urban Complexities’. The client: Elizabeth Rapport works at the Urban Land Institute (ULI), which hired and later co-developed The Affordable Housing Game: a policymaking game to develop an implementable agenda for affordable housing across European Cities. The participant: Rob Ververs works at Waternet and has frequently played the Circular Amsterdam Game in Buiksloterham: a role playing game designed for local entrepreneurs and citizens to gain knowledge on circular urban development and link it to their daily business. This new book by Play the City is published by Jap Sam Books and designed by Edwin van Gelder from Mainstudio, made possible with the support of the Creative Industry Fund NL and the Van Eesteren-Fluck & Van Lohuizen Foundation.